Every day we make choices about how we want to live, feel, and behave. We make choices that affect our health, our finances, our relationships, and our well-being. And every day we feel the effects of those choices. And so do the people around us. Our choices don’t exist in a vacuum. There’s a price we pay for poor choices. Added stress, strained relationships, dysfunctional homes, incorrigible kids, unhealthy bodies, and fewer desirable opportunities are among the consequences we pay. When we make choices, we set in motion a cosmic reaction – one thing leads to another. Sometimes the outcome is what we want, but we’re still unhappy. Sometimes we don’t get what we want, yet the outcome turns out to be the best thing for us. How do we know when we’re making the right choice? There’s a quiet, small voice inside us that never lies or steers us in the wrong direction. The truth is that we always know right from wrong; sometimes we choose to ignore that knowledge. On occasion, we reject the right to answer because it comes from a parent, teacher, spouse, or other perceive authority figure. There are also times when we pretended not to know what’s appropriate, because we’ve decided to do what we want to do, no matter what. So how do we go about making the right choices? First, we get into the place of being willing to make the right choices. 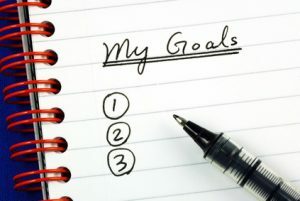 Take a look at some recent decisions we’ve made and ask ourselves, “Is what I’m doing working for me? What consequences am I paying in order for me to feel good in the moment?” When our answers are honest and we are willing to see the truth, then we are ready to go to the next step: making better choices. At this juncture, we stop and listen to that intuitive voice. Often it competes with other, louder voices, voices that justify choices that are wrong for you. But despite the battle, deep down, we always know the right answer. One of life’s greatest gift is realizing that we have the power of choice. The idea that we can control what happens to us is liberating, yet at the same time how fully frightening. Why? Because with choice comes the responsibility. Self-esteem is about making choices for ourselves and being accountable for them. When we shirk that responsibility, we set ourselves up to be victims. How easy is it to see ourselves as victims. How easy is it to do whatever we want in life, and then blame someone else for the outcome. 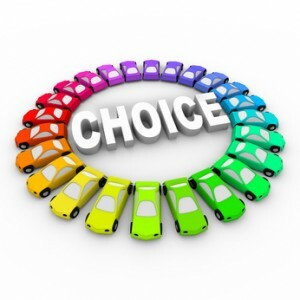 This blog is about making different choices so we can bypass the victim role. So what choices are you making? Today I invite you to examine your thought process for making decisions.